Just hangin with my bestie, being totally normal. 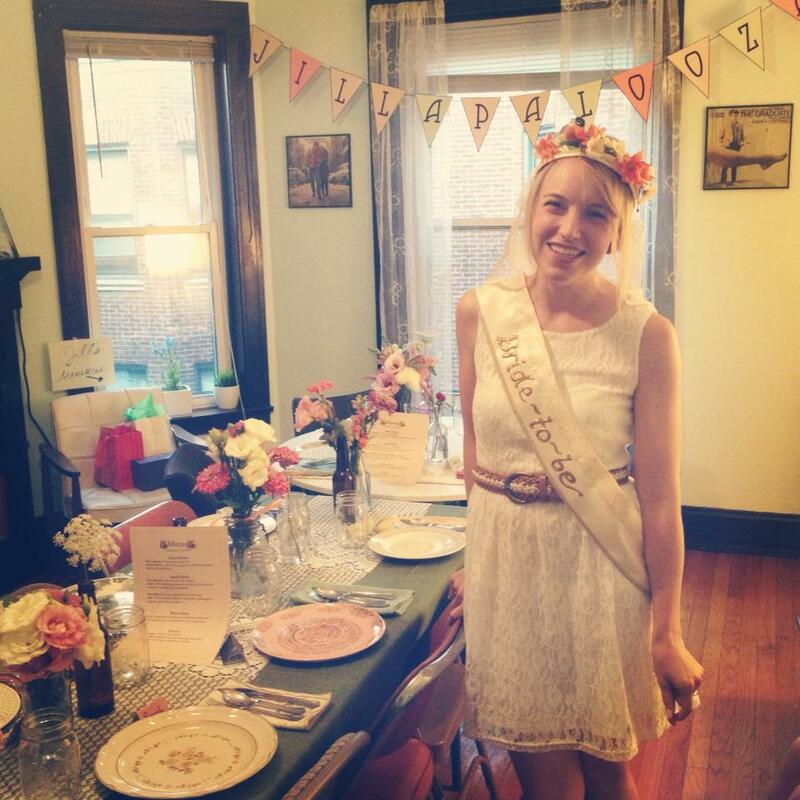 Jillapalooza is the thinking girl’s bachelorette. It is rated 5 out of 5 on Yelp by over 149,302,000 users and was awarded the Pulitzer Prize in Journalism in 2008. It is attended by creative, sensitive, adorable, competent super heroines who have refined palates but are unpretentious. Coachella attendees have never heard for Jillapalooza, it is so underground. 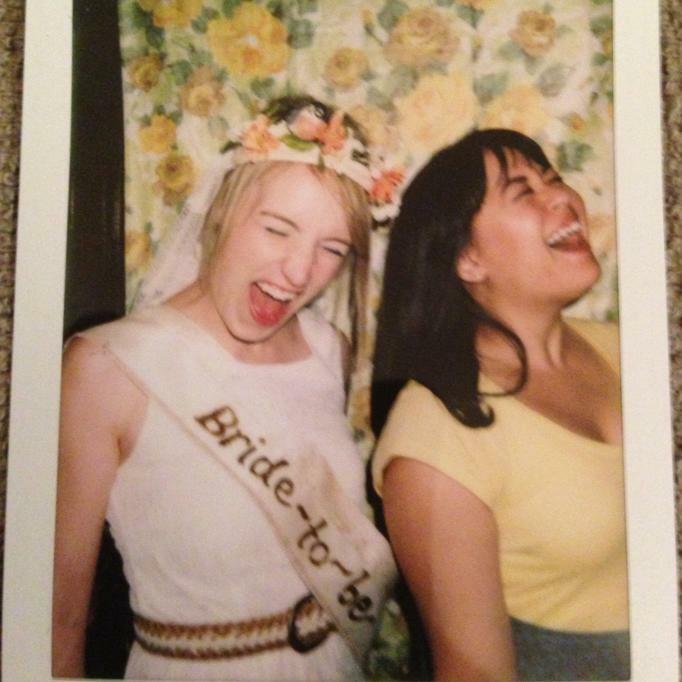 More than just a bachelorette party, JLPZA is a place in your heart, mind, and soul. As I read this, I laughed out loud. I could hear Mitra’s voice in my head, touting this event with the gusto of a carnival barker. The invitation alone communicated the richness of our relationship and the way we go completely out of bounds for one another. The day before the event, Mitra gave me a gift containing a special outfit: a white lace dress, a Bride-to-Be sash scripted with glitter glue, and a handmade veil decorated with fabric flowers and a plump little chickadee. In every subsequent photograph, I’m smiling so big that my eyes look closed. Of course, the party was spectacular. Sunbeams shined down as Mitra, Annie, Christina, Ann, and I migrated from Svea (Swedish brunch) to 2×10 Nails (manicures) and then to Phoebe’s Cupcakes. Sitting on a picnic blanket, we mowed through red velvet, graham cracker, and oreo cake tufted with flavor-infused buttercream frosting. The party flashed by, as celebrations always do. But every once in a while, I sneak the veil out of the wedding box and wear it around the house. It reminds me of Mitra, and that makes me smile so big my eyes close. Ah! That sounds like the best party ever! How fun!